Mseni Beach Lodge - Sodwana Bay Accommodation. Situated in the heart of Sodwana Bay, a UNESCO World Heritage Site, you will find Mseni Beach Lodge - the place of happiness, where laughter and joy resounds! Here at Mseni, we aim to provide friendly service & an excellent experience to compliment our awesome views! Our cosy cottages and lovely beach house are nestled amongst beautiful indigenous bush, which forms part of the iSimangaliso Nature Reserve. Mseni Beach Lodge offers a choice of self-catering or bed & breakfast cottages, as well as a lovely beach house. All accommodation has a master bedroom with double or twin beds and bathroom en-suite. Our self-catering Family Cottages include a small kitchenette, fridge/freezer combination and an outside barbeque area. Seaview House is a lovely beach house that comfortably sleeps 10 people. The large open plan entertainment area overlooks the ocean, and a fully equipped kitchen, makes it ideal for larger families or groups. These cottages each sleep two people and have a double or twin room en-suite, set amongst tranquil coastal forest. There are NO cooking or barbeque facilities in the Forestview B&B Cottages. It has a mini bar fridge and a kettle for tea/coffee making only. Breakfast is served in our À-la-carte restaurant, which is also offers lunch and dinner. These are self-catering cottages that accommodate 4 or 5 people. There are two bedrooms, each with a bathroom, a small kitchen with a microwave, hot plate, fridge/freezer combination and seating area. There is also an outside barbeque area positioned to enjoy the surrounding sand forest. The restaurant overlooks the Indian Ocean and offers stunning panoramic views. While sipping cocktails and sundowners on our restaurant deck, you can look for the seasonal passage of whales or regular sightings of dolphins. You may often hear the sound of cheering, as there is great excitement when eating mouth-watering food in the company of good friends and having our ocean neighbours passing by. Mseni Beach Lodge restaurant is certainly the place where people arrive as strangers and leave as friends! The restaurant is open from 06h15 until 21h00. Breakfast served until 11h00, while an À-la-carte menu is available throughout the day for lunch and dinner. We have a variety of mouth-watering dishes from flavorful seafood to our famous Mseni prego roll and pizzas. Working in partnership with Amoray Diving, we offer scuba diving tailor made for the discerning diver. A range of courses are also available if you haven’t dived before or just want to try it out. Rated amongst the top 10 scuba diving spots in the world, Sodwana’s pristine reefs offer warm, clean and colourful experiences, with huge species diversity. We are privileged to have the most southerly coral reefs in Africa, thanks to the warm water brought from the tropics by the Agulhas current. Scuba not for you, why not try snorkeling in our stunning rock pools, which the whole family can enjoy during low tide. You will find various critters hiding out, including many juveniles. South Africa’s premier fishing spot, boasting year round fishing for game fish such as Blue and Black Marlin, Sail Fish, Yellow Fin Tuna, Dorado, Mackerel and Wahoo. The rock and surf fishing in Sodwana Bay is superb with the giant Kingfish being first prize. A giant Kingfish, weighing forty-nine kilograms caught from the beach in front of Mseni Beach Lodge was a memorable moment for a proud angler. Specialty drop shot fishing areas provide non-stop action. Sodwana Bay’s rich bird life is well known. Walk amongst lush trails or watch from our deck and you are guaranteed to see a huge diversity of bird life. Other wildlife…the red duiker, mongoose and monkeys are amongst the regular sightings. Humpback whales are spotted in their numbers during the months of July and November. Enjoy the show from our restaurant deck as they splash around. The turtle tours are very popular between November and April, where you have a chance of experiencing Leatherback Turtles nesting on our beaches. Sodwana Bay is not more than 1hours drive to many Big 5 game reserves are within a day trip, plan and drive your own or book a guided tour. Want to enjoy Sodwana from a birds eye perspective, enjoy a microlight trip which can be arrange at reception along with other activities our friendly staff will be able to assist you with. All the accommodation is serviced daily by our friendly house keeping staff and equipped with linen and bath towels. Please bring your own beach towels. There is a no-smoking policy inside all the units. An iSimangelsio Wetlands Park gate entrance fee is payable at the first gate leading to the KZN National Park. The once-off fees are currently R42 per adult or R36 per child plus a R5 community levy per person. Vehicle charges are R58 for vehicles holding 1-5 persons (e.g. 4 door car) – charges increase for larger capacity vehicles. Guests staying overnight will also be charged R7 per person per night at this point. Gates are open 24 hours a day. This allows access in and out of the park. PLEASE NOTE that iSimangaliso now have card facilities for payment of these fees. At the 2nd gate, fill out a Mseni Beach Lodge form. This indicates that you will be staying in our lodge. 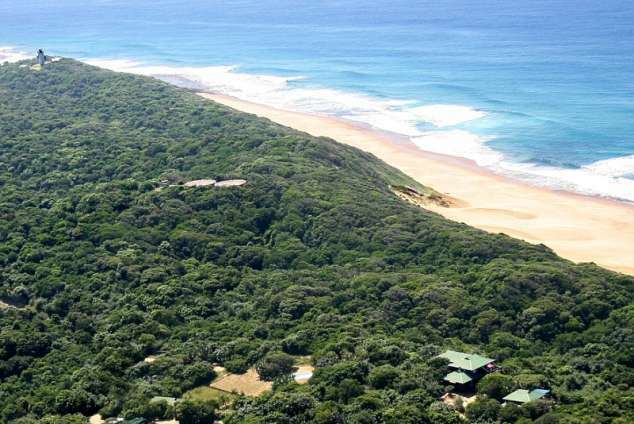 The R95 (per person per night) KZN Wildlife fees will be included on your invoice (R120 per person per night in high season and special events). We accept this payment on behalf of the KZN Wildlife. Be sure to bring all forms provided by the KZN Wildlife on arrival to our receptionist who will issue your gate exit pass. 340 page views since 20 Nov, 2018.